Can I mention the settlement agreement in an employment tribunal ? Home Ask the Expert Can I mention the settlement offer in a tribunal? without prejudice and pre-termination discussions - what can you say about your settlement agreement offer? Can I mention the settlement agreement in an employment tribunal if I turn the offer down? Employment tribunals are an acquired and, some would say, expensive taste. It is therefore commonplace for employers and their advisors to seek to negotiate settlements with their departing employees to avoid them. There is a concern however that if such negotiations break down, and an employee issues a claim in the tribunal, can an employee use the fact of those negotiations as evidence in such proceedings? Generally the answer is no. Normally such negotiations including draft agreements and related correspondence are marked “without prejudice” to indicate that the employee cannot refer to them in courts and tribunals should negotiations break down and they later bring a claim against their employer. In short, the agreement cannot be used as evidence (whether labelled without prejudice or not) as long as it arose from a genuine attempt to resolve an existing dispute. This means that even where there has been improper behaviour the discussions may remain inadmissible unless there is “unambiguous impropriety” which is a very high bar to cross. Such communications may however still be disclosed if there is a dispute as to the meaning of the terms of the agreement or, where relevant, as evidence that a legally binding settlement has been reached. From 29 July 2013 when the relevant provisions of the Enterprise and Regulatory Reform Act 2013 come into effect, pre-termination negotiations will not be able to be referred to in evidence in ordinary unfair dismissal cases, unless their has been “improper behaviour” which is wider than the “unambiguous impropriety” test. This means that a settlement agreement and surrounding discussions cannot be used as evidence in an unfair dismissal claim at the tribunal whether or not there is a current employment dispute, thereby extending the formal without prejudice rule. Improper behaviour is not defined, however ACAS has produced a Statutory Code of Practice on Settlement Agreements . This provides a non-exhaustive list of examples. Where the negotiations form part of a genuine attempt to resolve an existing dispute, both the without prejudice rule and the new pre-termination provisions will apply. 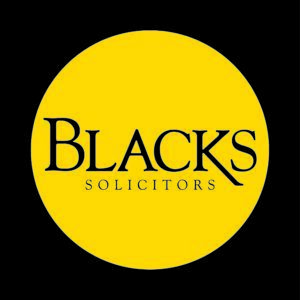 In practice this means that offers of settlement including oral and written statements and negotiations are inadmissible (in unfair dismissal cases) regardless of whether there is an existing dispute, unless there is improper behaviour or the claim is one of automatic unfair dismissal, breach of contract or discrimination. In any event the new provisions operate in addition to the general rule on Without Prejudice conversations. As such if your proposed settlement agreement and the negotiations around it were made in a genuine attempt to resolve an existing dispute with your employer then you cannot refer to them in the tribunal should you turn the offer down, save for the limited exceptions discussed above. This answer was given on 24 July 2013. Previous articleCan you waive privilege arising from protected conversations?